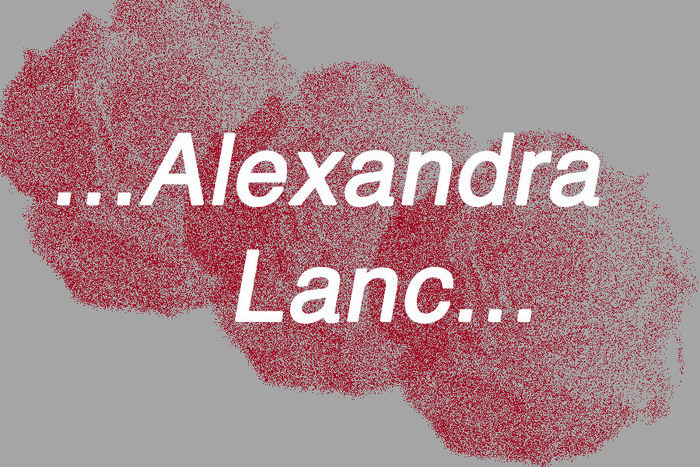 I am very excited to host my very first author interview, so without any further ado I intoduce to you the contemporary young adult author Alexadra Lanc. Alexandra Lanc is a Contemporary YA author who writes in a variety of genres, loves to create twisting plots, and listens to too much music. She is also the author of The Foxfire Chronicles: Shadows of Past Memories, the first in her science fiction/horror series, and Clara Claus, a Christmas novel. Alexandra lives in Florida (USA) with her family and calico cat, Sanura. Q: Let's begin with your books, can you tell me a few things about Clara Claus and The Foxfire Chronicles? A: Shadows of Past Memories (the first book in my Foxfire Chronicles series, termed SOPM) and Clara Claus (termed CC) are very different. Clara Claus is a Christmas story revolving around hope, the holidays, and a bit of fantasy, whereas Shadows of Past Memories revolves around the struggles of two best friends as they try and move forward with their lives, pull away from their ugly pasts, and reconcile their memories (all while trying to run from an otherworldly madman who is bent on destruction and chaos). Q: What triggered the idea of them, where did it all begin? A: The origins of both Clara Claus and Shadows of Past Memories are as different as the books are. The idea for Clara Claus originated from me listening to music (the Trans-Siberian Orchestra, in fact) one Christmas, realizing that there were hardly any Christmas stories about Jack Frost, who had always been my favorite winter "character", and the idea for SOPM came from a dream I had, after a particularly bad accident (for more info on that, please read the Author's Note at the back of the book). A: All of my characters are based on someone, though they aren't exactly mirror images of the people I know. The majority of my characters are made up of traits that I like, though. When I think of a character, I think of their part in the story, then I put together a list of traits that would be good for that character. Usually these things combined make me think of a person I know or have known, and then the character comes to life. Q: What do you love the most about your novels? A: I try to love everything about my novels, but probably the thing I love most is the theme or message they share. I try and pick a distinct theme for each novel, and write about something that is important to me -- Clara Claus is mainly about hope, SOPM is about the past and moving on. I try to keep a sense of realism in my stories, a human quality. I want my stories to seem real, connect with my readers, though they are fantastical. Q:Where do you usually draw inspiration from? A:Most of my inspiration comes from the dreams that I have. If I can remember a dream when I wake up, I usually write it down, and half of the time I make it into a story. But everything inspires me, and I always try to look at the world with a fresh eye. A: The worst thing about being a writer is that it's lonely, a job you, by definition, have to do all by yourself for the most part. There are writing groups and editing meets and co-authoring and all of that, but in the end, sitting down and writing is a one-person job. However, the best thing about writing is that you get to bring characters and worlds to life, and you really get to communicate your feelings to your readers through your books. A: Writing and publishing is a hard, long process, though it has definitely been worth it for me. I've been writing ever since I could remember, and the writing has (usually) come to me easily, so that hasn't been too much of a struggle...but the publishing was difficult at first. There were a lot of things I didn't know about, and I had to do a lot of research. But thankfully, I've had my family and friends there to help and support me through it all, and I've learned a lot. A: I think there is always going to be something I would have done differently -- something I wish I would have left out of a book, or put in, or a design I wish I would have changed, or a release date that I should have pushed back. But the way I see it, that is in the past, and I'm working in the now, and I can't change it. I've learned from my mistakes, and met some great friends in the process. A: Yes! My biggest tip to new writers is also one of the best writing tips I've been given: keep writing. It's that simple. If you keep writing, then you're going to finish something, and then you're more likely to get it published and read. Also, don't give up. The road to a dream is often long and hard, but it's worth it in the end, and the journey there is honestly the best part. A good dream is worth fighting for! A: You should expect a lot! I always have new ideas and projects in my head, and right now, I'm currently working on...seven, I think. I like to be creative, so you'll definitely be seeing more novels, as well as a few surprises that I can't tell you about yet. But I CAN tell you this -- they will be worth the wait! You can find Alexandra on her website, blog, twitter and goodreads. You can buy her books from Amazon and Smashwords. Great interview! Your inspirations come from a dream, Alexandra? I wish I could do that! !